Jessica grew up on the Canadian border in Madawaska where she spent most of her weekends skiing with her family. 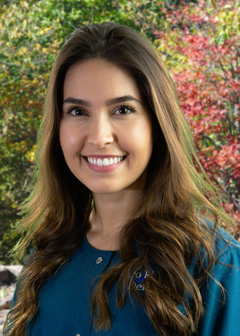 Her dual citizenship allowed her Dental Hygiene education to begin in Halifax, Nova Scotia at Dalhousie University. She completed her studies at the University College of Bangor. She decided to start her career in southern Maine where she met her husband, Brandon. 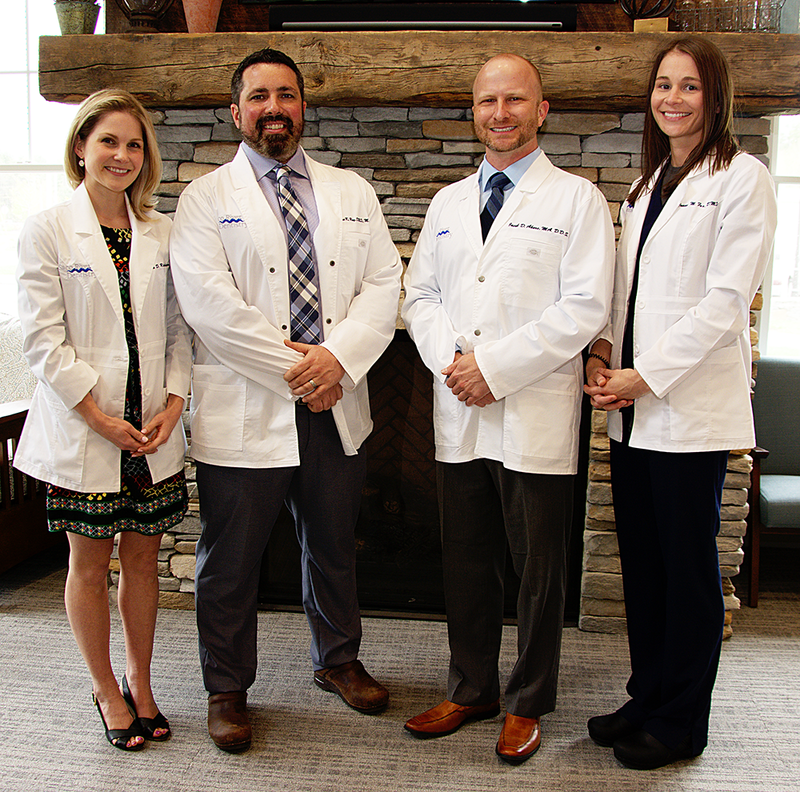 Jessica has been with us since 2012, she enjoys her relaxed, close knit relationship with her patients as well as her leadership role in executing the growth of Saco River Dentistry. In her free time, she enjoys being crafty and spending time on the lake with her husband and 2 dogs, Mollie and Miller. 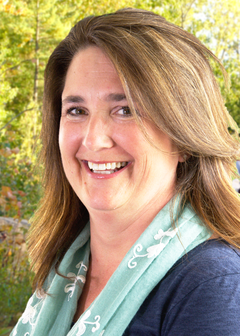 Kate is a resident of Windham where she resides with her husband Mark. She is a proud member of the well-known College of Life which she never plans on graduating. Kate entered the wonderful world of dentistry in 2001. 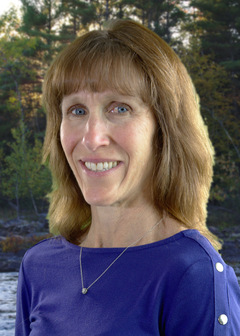 She has enjoyed working in administration, dental assisting consulting and practice management software training for many dentists in the Northeast. 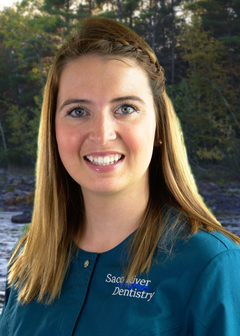 She is excited to continue her journey as Office Manger at Saco River Dentistry. Her hobbies include being married to the love of her life, having children and her family. Kate can also be found horseback riding, fishing, painting and gardening. Amy grew up in Gorham, Maine. She graduated from UNE in 2001. After working in Portland for years, she moved to Lake Tahoe, California where she lived for 6 years. After getting married and having a son, Jake, they decided to move back to Maine. 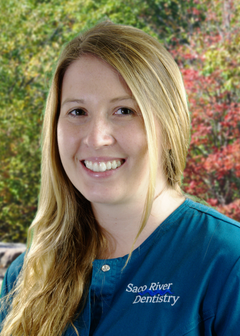 She started at Saco River Dentistry in 2013. In 2015 she welcomed twins, Max and Maryn. She enjoys spending time with family & friends, spoiling her golden retriever, and camping. Danielle grew up in Lewiston, Maine. She started her college career at St. Anselm College, where she completed two years before deciding she wanted to study hygiene. She transferred to UNE where she got her degree in 2006. 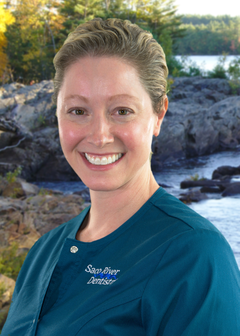 She worked full time in Portland for 10 years before joining Saco River Dentistry. 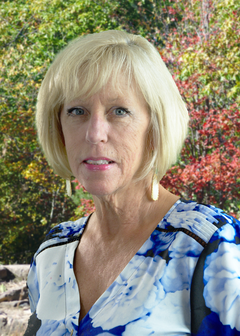 As a hygienist, she enjoys learning about her patients and their life experiences. She lives in Standish with her husband, Nick, and the most handsome silver lab, Neely. She enjoys spending time with her husband, working out, fishing, cooking, decorating, hiking, spoiling her dog, and is obsessed with the Patriots. 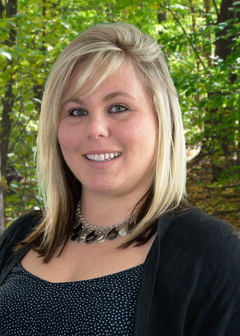 Erin graduated from Vermont Technical College with a Bachelor’s of Science in Dental Hygiene. She has been practicing as a hygienist for 3 years. She recently moved to Maine and enjoys spending time with friends, hiking, traveling, and baking. 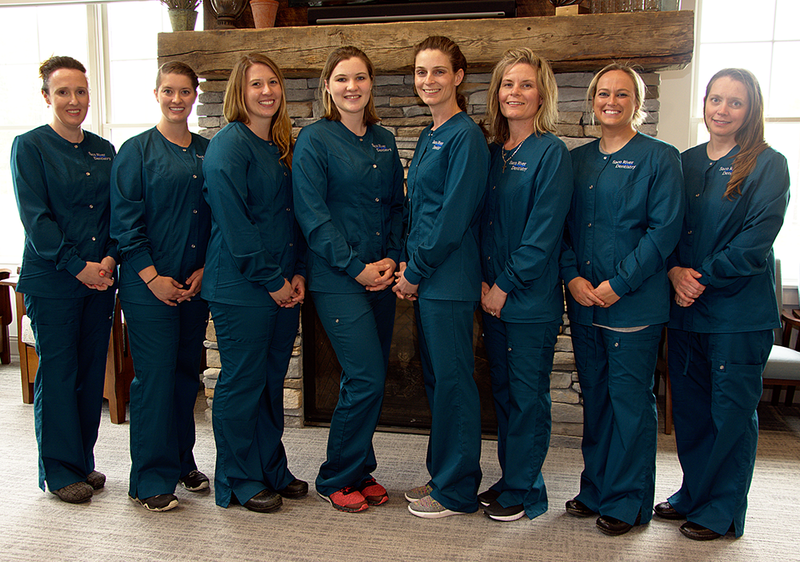 Cassie graduated from the UNE dental hygiene program in 2017. She has lived in Biddeford, Maine for her entire life. In her free time, she enjoys cooking, running, and exploring the coast of Maine. 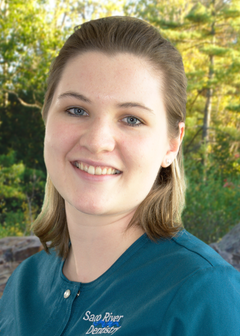 She is very passionate about patient care and is excited to begin her career as a registered dental hygienist. Maria is originally from Lewiston, Maine but grew up in Brainerd, Minnesota. She graduated with a Bachelor of Science in Dental Hygiene from Weber State University in 2017. 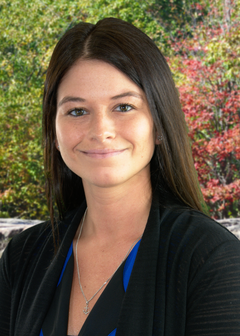 Maria recently moved back to Maine and enjoys spending time with family and friends, working out and traveling. 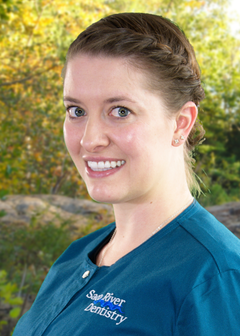 As a hygienist, she enjoys giving her patients quality dental care and learning more about them. 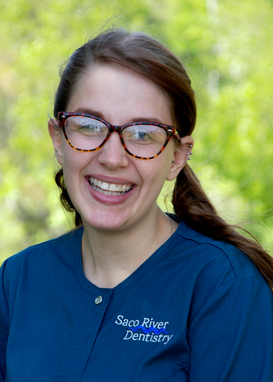 Maria is excited to continue her career as a dental hygienist at Saco River Dentistry. 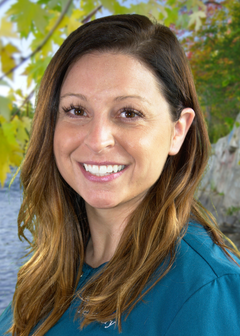 Amanda grew up in Porter, Maine and attended dental hygiene school at the University of New England, graduating in 2015. 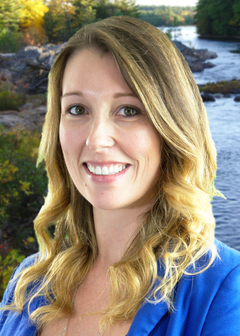 Amanda currently resides in Parsonsfield with her husband Tyler, son Maverick and black Lab Tracker. In her free time she enjoys spending time outdoors with her family, cooking, and baking, and making crafts. 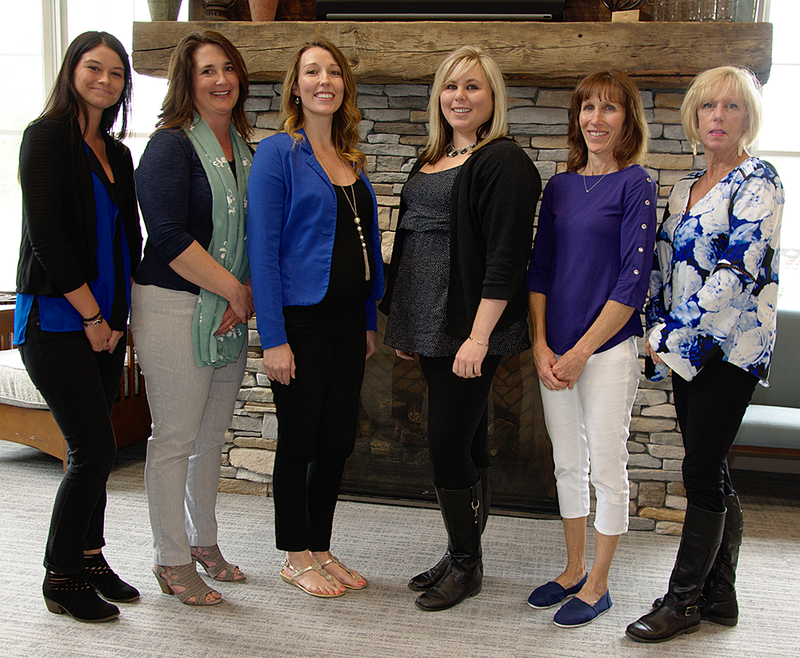 She loves getting to know all of her patients and providing individualized oral health care. 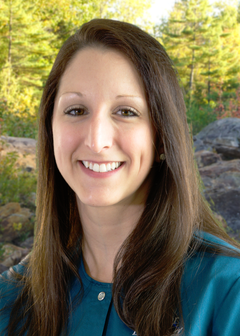 Chantal grew up in Biddeford, Maine and has been a registered dental assistant since 2001. 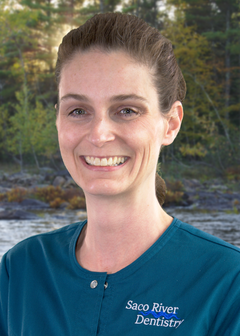 She joined Saco River Dentistry in 2012, and loves when she is able to speak French with her patients. She is married with three children that keep her very busy. She can often be found at the ice rink or local athletic fields. As a family, they enjoy the outdoors (especially camping), and playing with the newest member of their family, their chocolate lab. Lydianne is currently studying Dental Hygiene at the University of New England. She is excited to expand her knowledge, skills, and experiences in the dental field. When she is not working, she enjoys hiking, running, and spending time with family. 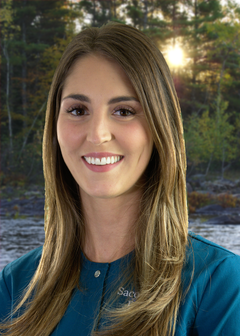 Kaicee grew up in North Waterboro, Maine and started her career in the dental field working with Endodontic treatments in April of 2017. She is happy to be expanding her knowledge in the dental field going into general dentistry. In her free time she loves spending time with family, friends and her two dogs Teddy and Bruin. Summer time is her favorite season in Maine and you can catch her at the beach, lake and going to country concerts. 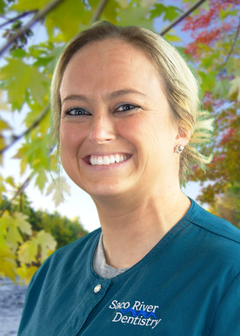 Darcy has been a Certified Dental Assistant for eight years and she enjoys her work. She started her career in Bangor at a large clinic. 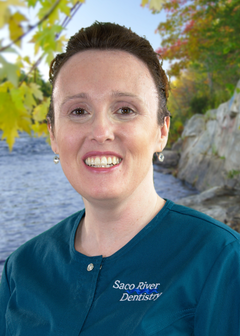 After she and her husband moved to Raymond she found Saco River Dentistry. Darcy has a two year old daughter and a ten year old step son. She also enjoys being wth her family and staying busy. Chris is originally from the Boston area but she moved to Maine in 1993. She loves every bit of her job today as much as she did when she began working at this practice in 1995. Chris loves to craft, travel, laugh, make people smile and spend time with her family. She lives in Saco with her husband Rick and their dog Zoni. 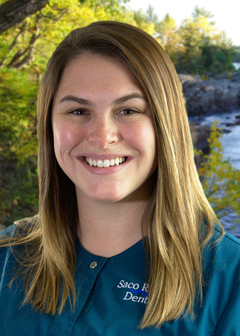 Ashley has lived in Saco, Maine for most of her life. 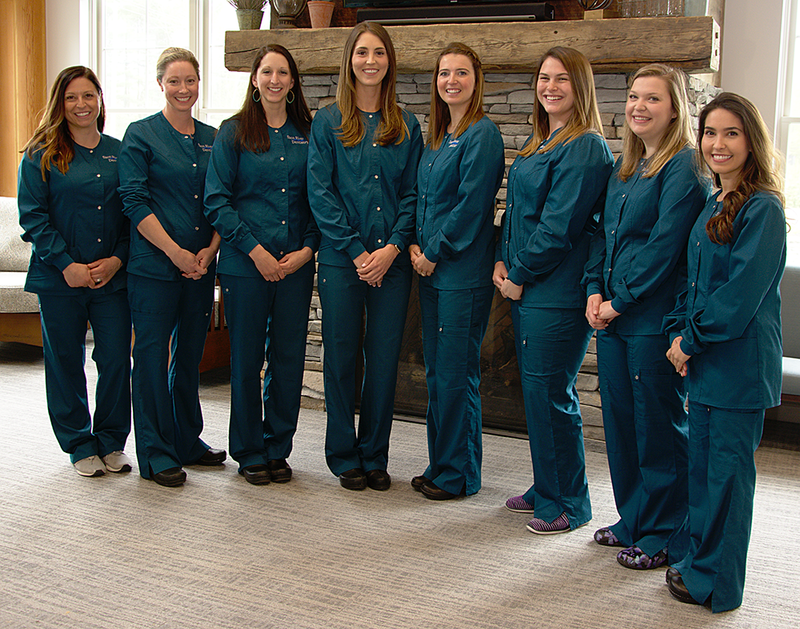 She graduated with a degree in dietetic technology in 2010 but then found her passion for dentistry in 2013 when she started here at Saco River Dentistry. She loves spending time with her husband Nick, step daughter Savannah and her Dorkie mix Willa. She especially enjoys the summer season, outdoor activities, and country music. 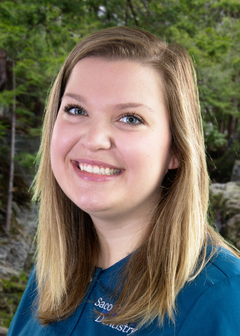 Brittney grew up in Waterboro, Maine and she started out working with the public at her family's business at a young age, and still enjoys it just as much as she did then! When she's not working at the front desk, she loves being outside, fishing, four-wheeling, and hiking with her husky, Kaden.